It’s safe to say that sometimes, Netflix knows us better than we know ourselves — especially when it comes to our latest binge. 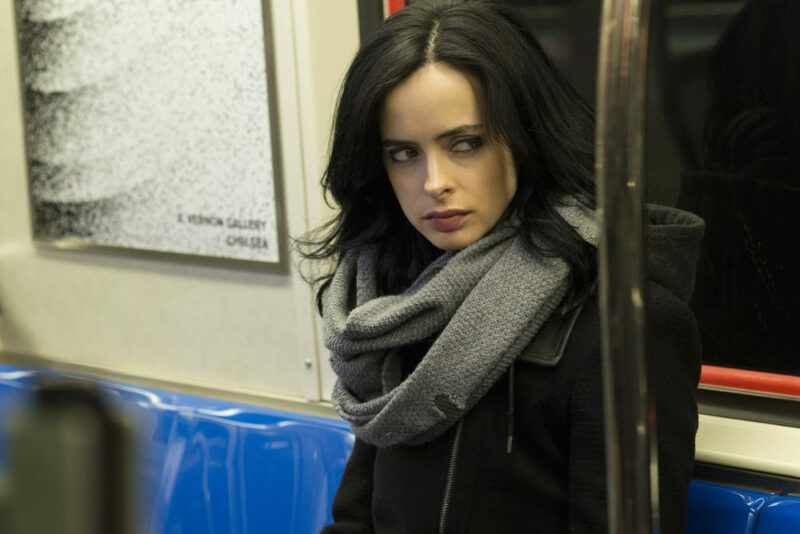 Sometimes we’re skeptical about some of the recommendations the streaming platform throws our way (Like, how are Friends and Jessica Jones anything alike?) but we’re almost always blown away by how accurate they tend to be. Well, that’s because Netflix analytics delve way deeper than genre alone. The streaming giant uses a *way* more complex system to recommend shows (and movies!) to us. That’s where the iconic “TV shows featuring a strong female lead” label comes in handy. 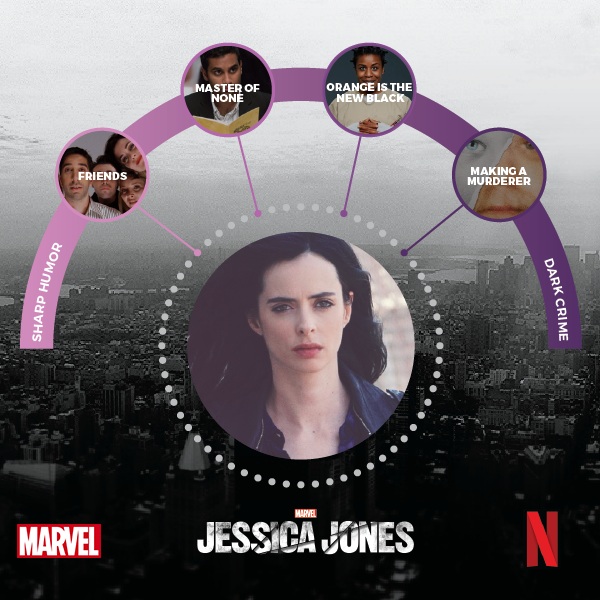 With the release of The Defenders last week, Netflix broke down how the viewers with zero superhero interest can become Jessica Jones superfans. Like most other sites, Netflix uses broader labels like “comedy” and “drama” to catalogue its shows. But, it’s also become famous for really intricate and specific labels as well. And it turns out these labels are used to create recommendations for series that have *next* to nothing in common. For instance, Jessica Jones may seem like it has nothing in common with Friends or Master of None, Orange is the New Black or Making a Murderer. But don’t forget about these important components: sharp humor, dark crime, and/or strong, female characters. 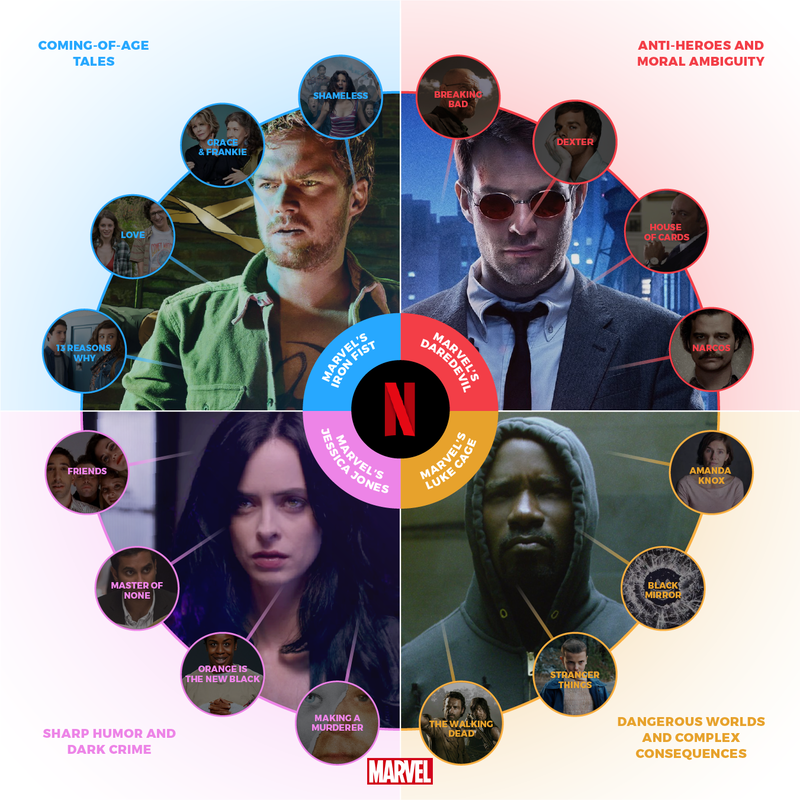 Similarly, House of Cards, Bloodline, and Daredevil are linked by anti-heroes and moral ambiguity; 13 Reasons Why, Grace & Frankie, and Iron Fist tell coming-of-age tales; and The Walking Dead, Black Mirror, and Luke Cage deal with dangerous worlds and complex consequences. Even more than genre, themes within a series tend to be the driving factor in whether or not a show will be recommended/a person will be interested in a show. So while it can be really easy to write off a superhero series like the Marvel shows on Netflix, they’re *actually* a lot more similar to your other favorite shows than you might think. So next time you’re skeptical about a Netflix recommendation, maybe give it a watch. Who knows, it could become your new favorite.